Sandra’s had a few former lives including teaching and social work. Then she farmed for 18 years, growing organic vegetables. After losing money for 17 of those 18 years, she sold the farm and started over. Now, instead of driving a tractor and growing vegetables, Sandra wields a camera and harvests stories. 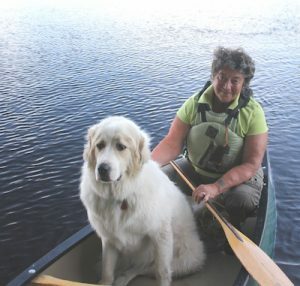 She’s penned four books, contributed to several travel guides and her articles have appeared in over 70 publications. She’s also won several writing/photography awards that have kept her humble. To satisfy her craving to teach, Sandra gives writing workshops on various topics including narrative, writing memoir, how to start a freelance business and travel writing. Sandra is a member of The Writers Union of Canada, the Travel Media Association of Canada, the Writers’ Federation of Nova Scotia, the Writers’ Federation of New Brunswick, and the Canadian Media Guild. In her spare time she practices Tai Chi and does wilderness canoeing.